68 - Are We Entertaining The MARTIANS? by What The If? IF we were Martians, looking at the Earth with our telescopes… would we know there’s LIFE there? If so, how would we know? Could we have watched humanity evolve? Would we see the humans coming to US? Run for the mons! 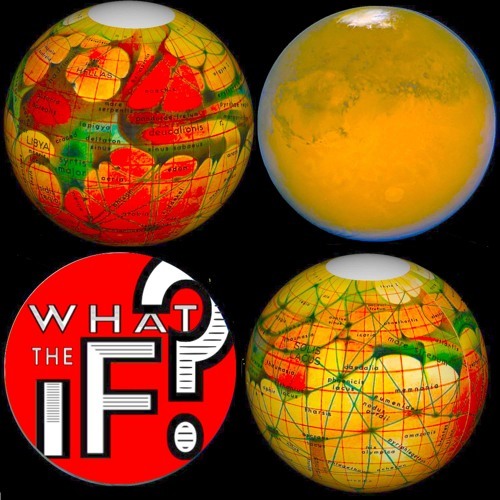 It’s another fast & fascinating episode of What The IF?!!! Download 68 - Are We Entertaining The MARTIANS? Users who like 68 - Are We Entertaining The MARTIANS? Users who reposted 68 - Are We Entertaining The MARTIANS? Playlists containing 68 - Are We Entertaining The MARTIANS? More tracks like 68 - Are We Entertaining The MARTIANS?